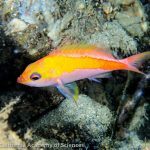 Northern Africa is not a part of the world known for its coral reefs, but three newly described species are helping add to the region’s biodiversity. 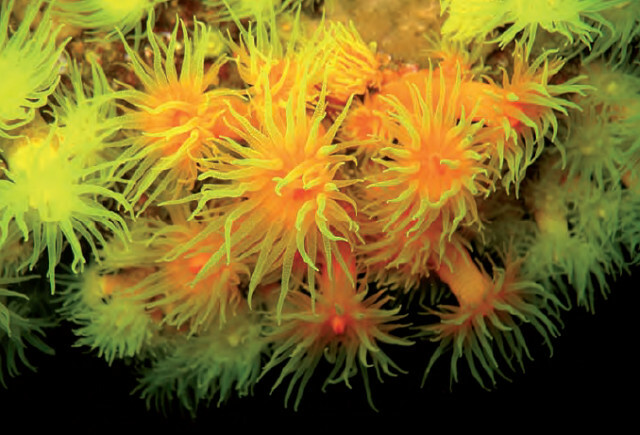 The new corals are part of an identification guide published late last year covering the corals and anemones of the Cape Verde Islands and neighboring reefs of Morocco. 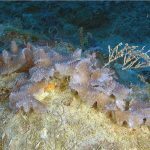 Loaded with in situ images of a great many unusual and rare corals, this is a paper worth taking a look through. The three newly described scleractinians are all azooxanthellate (=non-photosynthetic). 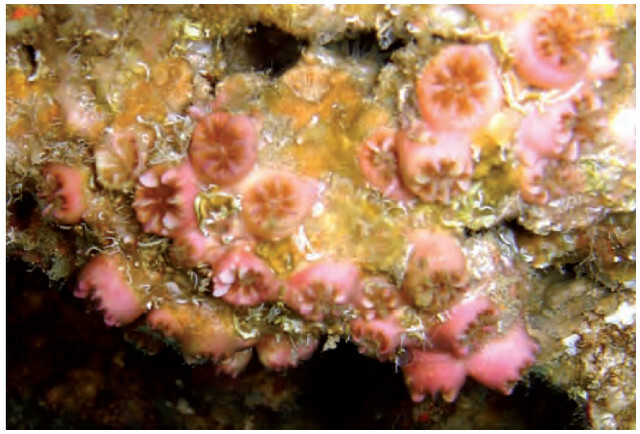 Perhaps the most interesting of the lot is Africana wirtzi, whose colonies are formed of a small number of pinkish polyps. Only a single specimen has been discovered thus far, but it turned out to be distinctive enough to necessitate the creation of a new genus for it due to the peculiar mix of morphological traits. Of note is the Pourtalès plan-like arrangement of the septa (a trait seen only in the sun corals of the Family Dendrophyllidae), the solid walls of the skeleton (which are porous in dendrophyllids), and the absence of lobelike structures called pali (which rules out other similar genera). 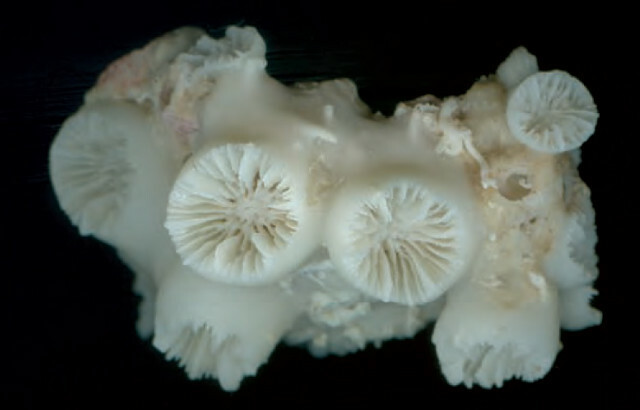 Unfortunately, there was no genetic study done, so the true affinities of this species is uncertain, but, for now, the authors have chosen to place this curious coral into the diverse (and polyphyletic) Family Caryophillidae. 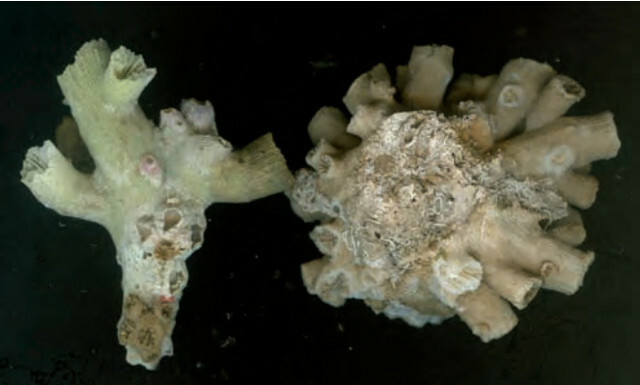 Thalamophyllia wirtzi is another new caryophyllid, named (as in the previous species) after Dr Peter Wirtz, a prolific researcher on these poorly known African reefs. 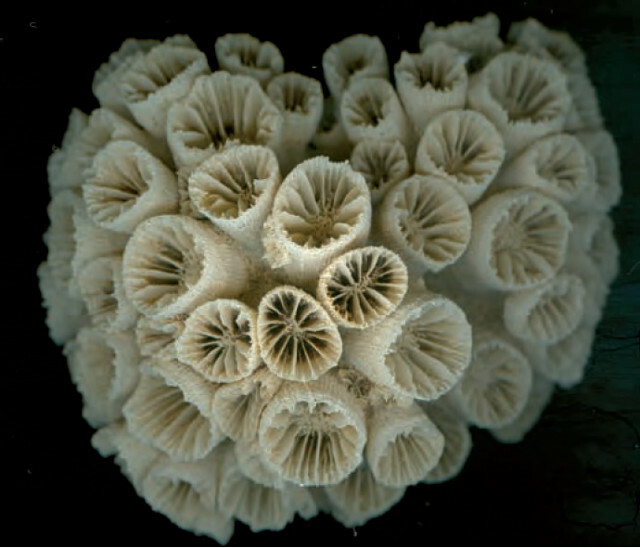 This species grows variably as either small groups of loosely connected polyps or more hemispherical masses with embedded corallites. It’s color in life also varies from a ghostly white to pink, while the underlying skeleton shows a series of attractive ridges (=costae) externally. 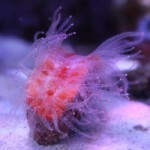 Lastly, there is a new sun coral (yay!) in the form of “Tubastrea” caboverdiana, named after the Cape Verde Islands where it was discovered. If you’re wondering why I’ve included the scientific name in quotations, it’s because the authors have misspelled the genus in their publication—the correct spelling being Tubastraea, with that extra ‘a’ being an important difference. This might seem nitpicky, but these things do matter to taxonomists. As I’ve written at length elsewhere, there is currently a great deal of uncertainty surrounding the species limits in this genus, and, until more extensive genetic and morphological study is published, we’re left to guess somewhat when attempting to identify species. Again, the authors here have chosen not to attempt genetic inquiry, describing solely from the morphological traits. Of diagnostic note here are the rather elongated polyps of this sun coral, which often bud to produce small lateral branches. Such “branching” is seldom seen in the genus (aside from the Black Sun Coral) and ultimately calls into question the true relatedness of this African species. The traditional classification normally places branched species in Dendrophyllia, but, unlike in that genus, the septa in T. caboverdiana don’t join together in the so-called Pourtalès plan arrangement. 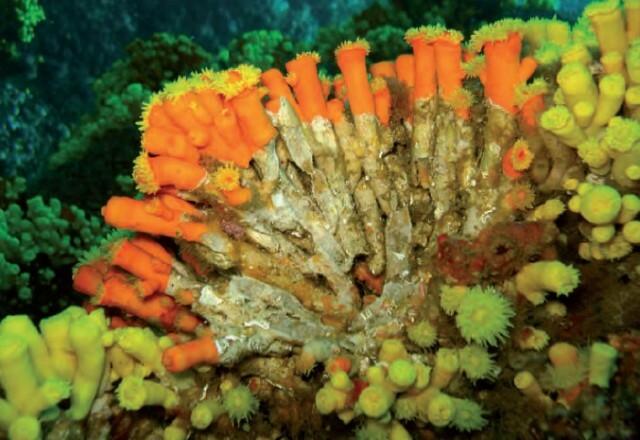 In a sense, this coral combines features of both genera and could perhaps be seen as the proverbial “missing link”. Recall that molecular study places these two groups together in a single unresolved clade, indicating that the differences currently used to diagnose them are not accurately reflecting their true evolutionary relatedness. There’s a great deal more in this paper which I haven’t bothered to touch on, including a newly described species of anemone, Bellactis caeruleus, and another species presumed to be new, not to mention all the other interesting photographs of seldom seen corals from Africa. Now, who else is ready to start up their African azooxanthellate biotope?